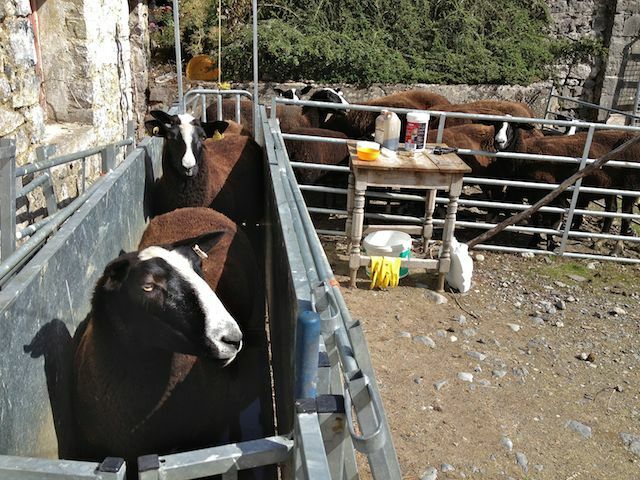 Today I was dosing lambs, sorting skinny ewes from those in good condition, giving cobalt boluses and vitamin doses to ewes and at the same time being sketched by a visiting artist; all in a shepherd’s day’s work I say. 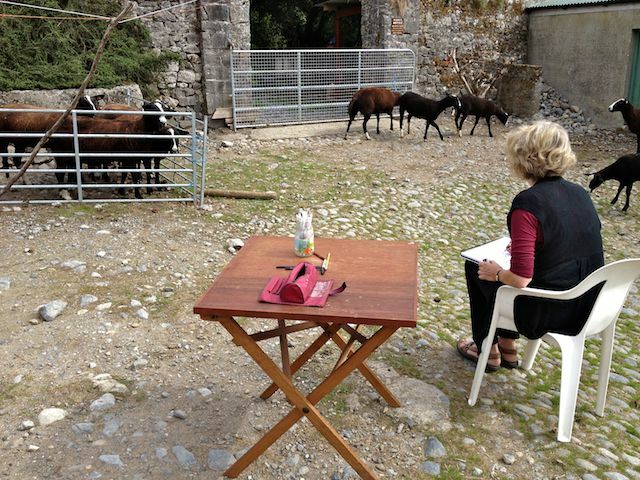 Rosamond Casey is visiting us from the USA, she is a dear old family friend and an artist whom I much admire. 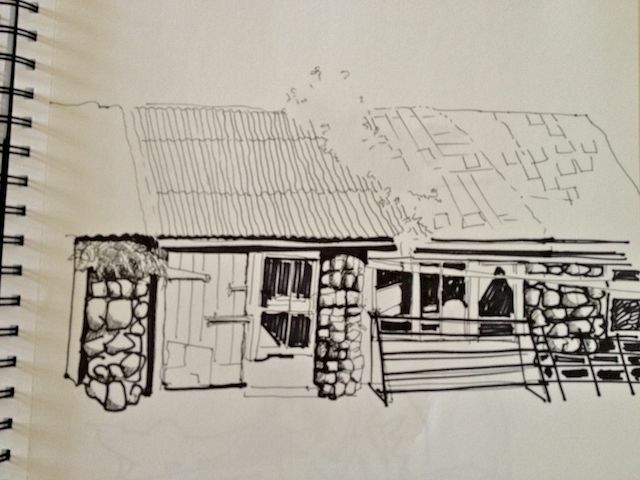 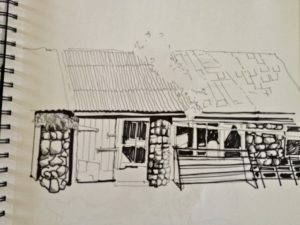 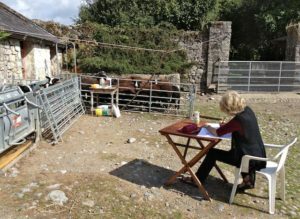 While I was getting the sheep into the yard she sketched the buildings and a bit of the sheep run. 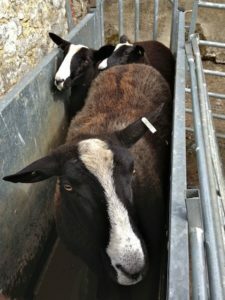 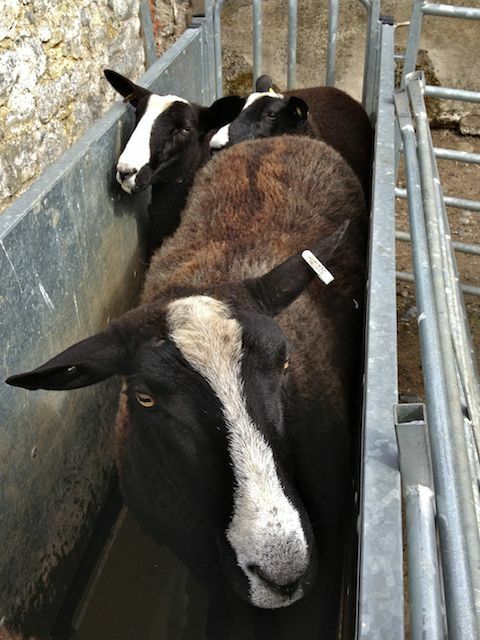 When I started dosing the lambs, she loved how their heads could hardly peered out over the sides of the run. 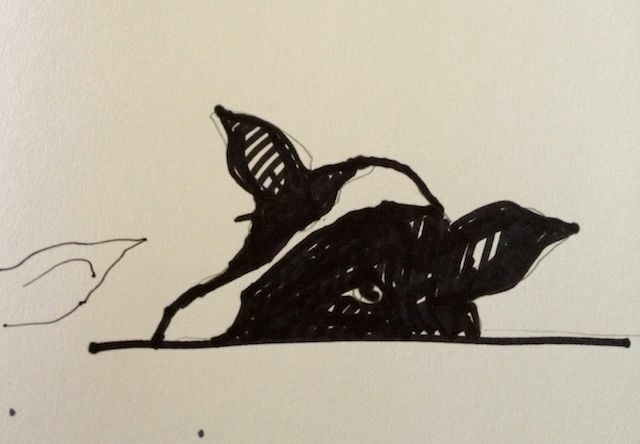 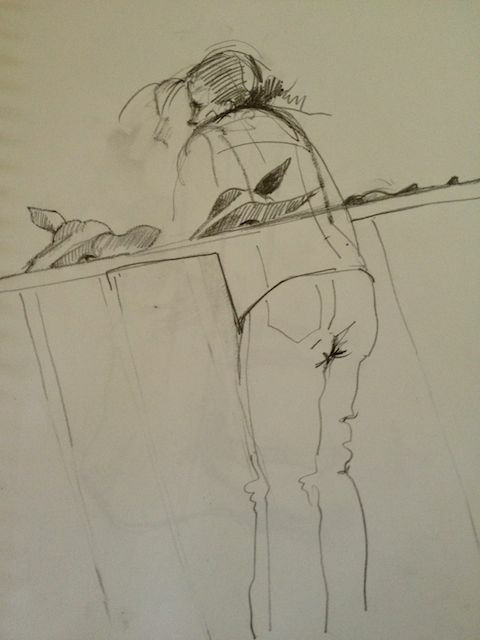 There was a wonderful companionable silence as she sketched and worked away while I was dosing sheep. 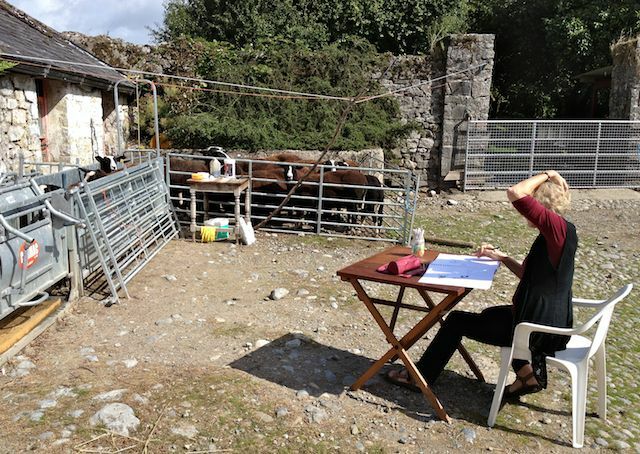 There were moments as always when the sheep wouldn’t budge into the run so the silence would be broken, but it seemed there might also have been artistic moments of frustration as well. 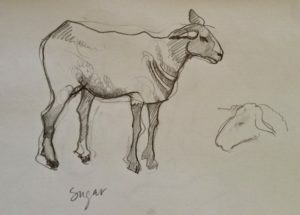 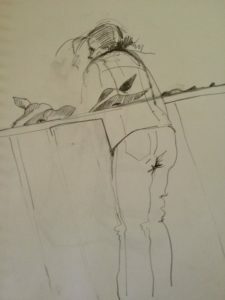 As I worked through the sheep she soon had her subjects all around her free to sketch them with out fences to interfere with her line of vision.